I’m a huge fan of video and especially during holiday time when teachers are in need of strong language learning material in video. Video is something the class can share and celebrate the end of the semester as class. Of course, there are so many other great reasons to use it daily in class. Here are a few of my “go to” Xmas video lessons. EFL Classroom 2.0 members can get them with full resources for teaching + hundreds more full video lessons. Just click through on the title of each. A unique thing about the community is you know the video is always there unlike Youtube where often these perfect videos you spend time making lessons for, disappear. Also, on EFL 2.0, you can download most videos for reliable, offline viewing. See all the Christmas videos on the community HERE. Also see this wonderful and free Xmas course on EnglishCentral where your students can study Christmas related vocabulary. And of course, see the many books related to Christmas on GifLingua. Teachers register to download as a PPT. It’s a magic “silent video” which can be used in many ways. Truly brings the Xmas spirit alive. 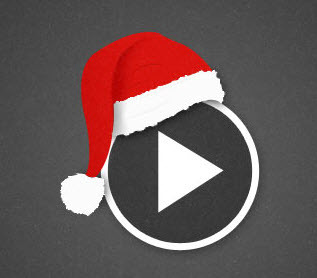 This short, short video highlights loads of Christmas related vocabulary. Goes perfectly with this gift giving lesson. #3 The Gift Of The Magi Everyone probably knows this story but do they know it in English? Great message. Great materials for teaching with it. #6 It’s A Wonderful Life. Cut into parts, this movie has many strong scenes to use as classroom lesson material. This list would not be complete without this classic tale from Dr. Seuss. Use with the included transcript and lesson materials.